Get ready for a hearty bowl of slow cooker beef stew made with potatoes, onions, celery, carrots, and seared beef for extra flavor. This entire meal cooks in a delicious gravy that compliments the fork-tender meat and vegetables. Now, this is comfort food! Beef stew is a staple dish that’ll warm you up on a chilly day. 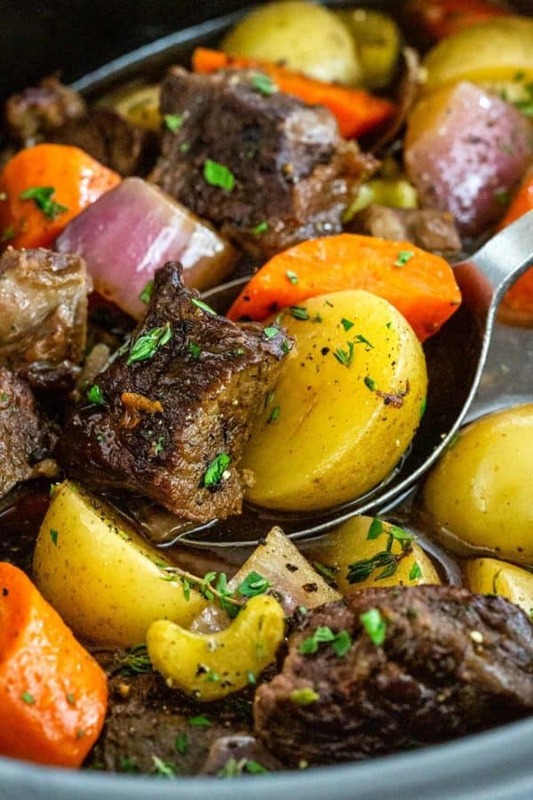 This recipe uses a Crock-Pot to cook big chunks of meat and vegetables over an extended period to ensure every bite is tender and tasty. 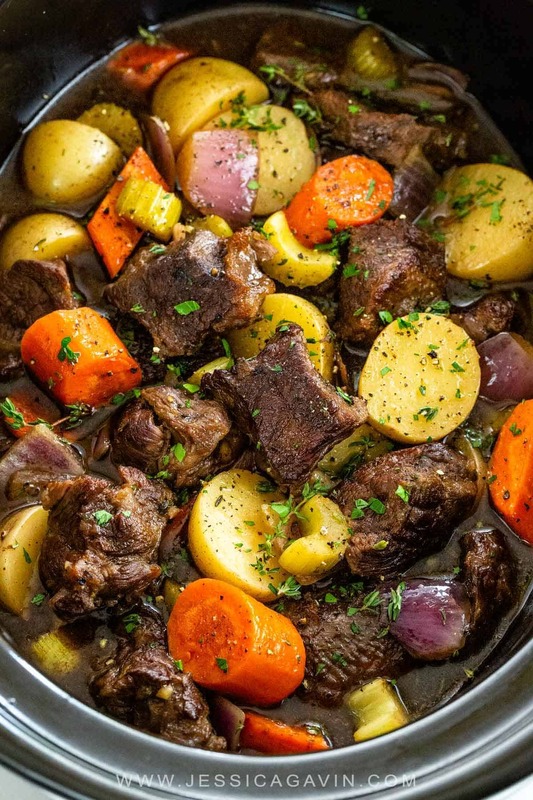 What makes stew taste so great is that the juices from the meat add flavor to the liquid when cooking which then infuses into the carrots and potatoes. If you’re looking for the most flavorful beef stew then I highly recommend sautéing the meat first to add another layer of taste and texture. This optional step allows you to incorporate the incredibly flavorful bits left on the bottom of the pan into the stew. This is a classic dish that’s easy to prepare with gourmet results! What kind of meat do you use for beef stew? The best meat to use is beef chuck roast or chuck eye roast. It comes from the shoulder area of the cow and has a good balance of connective tissue and fat. I use this cut for my slow cooker pot roast with rave reviews from my family. I avoid buying pre-cut stew meat from the market unless the butcher confirms that it’s from the cut mentioned above. I’d rather trim and cut down the meat myself so I can remove any excess fat that would make the stew become too greasy. Do you have to cook the meat before putting it in the slow cooker? No, you do not have to cook the beef before adding it to a slow cooker. Although, I find that taking a few extra few minutes to brown the meat enhances the flavor through the Maillard Reaction. So for this recipe, if you have the time I recommend the extra step. It’s something I always do for stews and braises. How do you make beef stew in a slow cooker? Trim any excess fat and tough visible connective tissue from the beef chuck. Season and sauté the beef in a hot pan with olive oil until brown on the surface. Scrape and deglaze the pan with balsamic vinegar then reduce to a few tablespoons. Cook the beef and vegetables in a slow cooker. Make a cornstarch slurry to use as a thickening agent and pour into the stewing liquid. Cook until the sauce is thickened, about 30 to 60 minutes. For the meat to become tender it needs to be cooked until well done. The key is to stew the chuck at about 210ºF (99ºC) for at least 1 hour. This allows the connective tissue and fat to melt and soften while adding body to the liquid. After simmering this beef stew in the slow cooker for hours, the smell will draw you to the kitchen. Grab a big spoon because you’ll want each bowl to have creamy Yukon gold potatoes, sweet carrots, savory beef, and a generous drizzle of gravy! 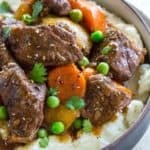 Can you overcook beef stew in a slow cooker? 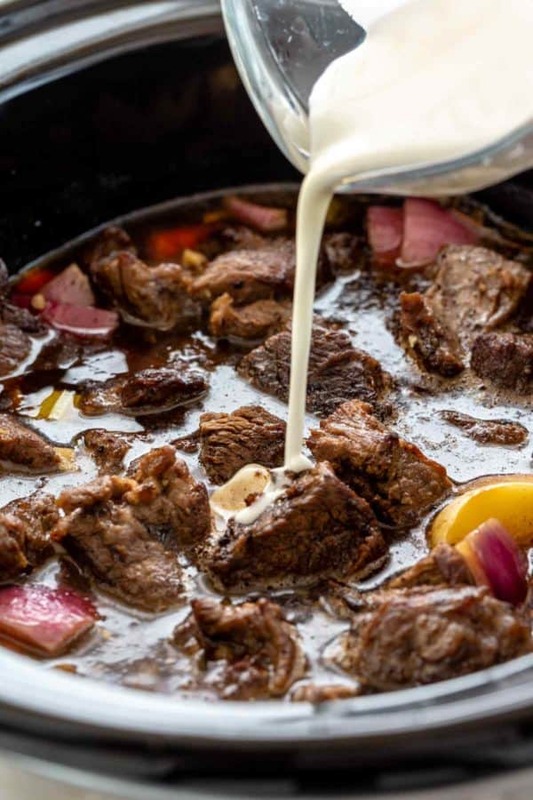 It takes a few hours for the slow cooker to reach and maintain its simmer point at around 209ºF (99ºC), and that’s why you can cook for several hours without overcooking the beef. If you don’t cook the meat long enough, it can taste tough and chewy, but excessive cooking past 10 hours on low will dry out the meat eventually. Get ready for a hearty bowl of slow cooker beef stew made with potatoes, onions, celery, carrots, and seared beef for extra flavor. Add potatoes, carrots, celery, onion, and thyme to the slow cooker. Cut beef into 1 1/2-inch pieces, trimming off any excess fat or connective tissue. Combine beef, salt, and pepper in a medium-sized bowl. Heat a large saute pan over medium-high heat. Add the olive oil, once hot add the pieces of beef in a single layer. Cook beef until golden brown on one side, 2 minutes. Flip the pieces and cook the other side for 2 minutes. Transfer to the slow cooker. Add balsamic vinegar to the saute pan with the beef drippings. Turn heat to medium-high, deglaze the pan, using a whisk to scrape any browned bits and incorporate into the liquid. Reduce the sauce, stirring frequently, until 2 to 3 tablespoons of liquid remain, about 3 to 5 minutes. Transfer the pan liquid to the slow cooker. Add beef stock and soy sauce to the slow cooker. Cover and cook on "High" setting for 4 hours or "Low" setting for 8 hours. Whisk together cornstarch and water in a small bowl. Add cornstarch slurry to the slow cooker, stir to combine. Cook on "High" setting for 30 minutes to 1 hour, until the sauce becomes slightly thickened. Taste stew liquid and season with more salt and pepper as desired. Serve beef stew garnished with parsley. I made this stew yesterday and gave half to my friend… best stew any of us have ever tasted!! I also did hard boiled eggs tonight following how you posted.. peels came off almost whole, and they were cooked perfectly. The way you explain about food makes cooking make sense… thank you! You are a good friend to share Cindy! Thank you for your feedback on the stew and eggs. This recipe is very similar to one we have had in the family for years, the biggest difference is red potatoes instead of Yukon golds, a cubed up rutabaga and adding cooked pearled barley right at the end, and instead of cornstarch we dredge the meat in flour before searing the meat, this acts as a thickener. I enjoy your other recipes and science lessons too! Thank you for sharing your family recipe and thickening technique! I madt the stew yesterday, Jessica, and my wife complimented me — and therefore you! I also did not use any thickener because I am diabetic and my wife is gluten-sensitive. Instead, I crumbled a slice of Ezekiel flourless whole-grain bread in the bottom of my each serving bowl, spooned the stew over that and ladeled some of the liquid over that. The bread soaked up the liquid that worked just fine. I’d never made a stew with Balsamic vinegar in the sauce, and I thought that was terrific. I made your stew yesterday and it turned out amazing! I used 3lbs. of beef (because I love a beefy stew! ), and then did x 1.5 on all the other ingredients, except the potatoes, where I actually reduced them just to keep things a bit less carb heavy, and added about 2 cups of mushrooms a couple of hours into the cooking time (I just love mushrooms!). I also replaced one cup of beef broth with one cup of beef bone broth – not sure why, but saw it at the supermarket and thought I’d give it a go since I keep hearing about how good it is for you. And I added about 1/2 cup of shallots because I love them. Then I was out of balsamic vinegar, but had some delicious fig & chocolate balsamic vinegars so I used a combination of both, and I have to say that they added an amazing aroma and tangy sweetness that I love! Other than that, I made it in a crockpot and followed your recipe steps (with the browned beef and cornstarch), and timing. Mine didn’t turn out as pretty as yours, but it tastes soooo good! We had it again for dinner tonight, and the beef is even more tender and the veggies just melt in your mouth! I have a couple other of your recipes on my list for this week, and I am excited to try them. Thank you so much for sharing your cooking tips and beautiful images! Wow, all of your modifications sounds so tasty! Thank you for sharing your cooking experience with the beef stew. This stew was amazing! I made it for Valentines Day. My husband and I loved it. 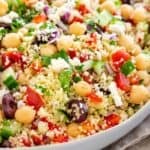 Your recipes and information/advice is excellent. Tomorrow night will be your Bourbon Chicken and Easy Fried Rice. Thank you for these recipes!